Market Days in Colonial Beach have changed a bit. Here you'll find information on the former version of the event when it was held in conjunction with Bluemont Concerts, as well as the events that began being held in 2015. The current events are held on Thursday afternoons from 4 - 7 p.m. on Dennison Street near St. Mary's Episcopal Church. 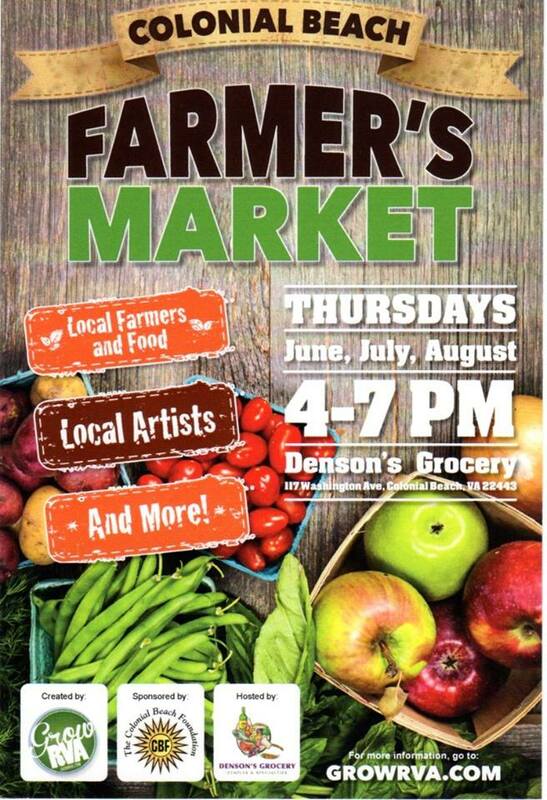 GrowRVA, Colonial Beach Outfitters and the Colonial Beach Foundation partner with local and regional vendors and merchants to bring this fine event to town. Sponsored by the Colonial Beach Volunteer Fire Department Ladies Auxiliary, Market Days is their biggest fundraiser. Other supporters include Virginia Commission for the Arts, author Sherryl Woods, the Town of Colonial Beach with support from Virginia Commission for the Arts, National Endowment for the Arts, Dominion Resources, Colonial Beach Chamber of Commerce and families and businesses in the Colonial Beach community. 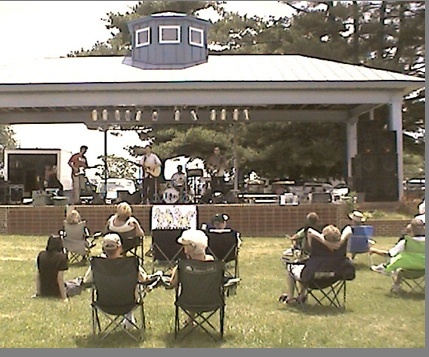 Thanks to them, the Colonial Beach Bluemont Concerts are free of charge. In nearly every other location in the series, the audience has to pay to see the show. Donations are welcome to support Bluemont programs in local schools and nursing homes. Roughly 50 vendors set up tents to sell their wares, everything from jewelry, acrylic paintings, handbags and ornaments, hand-made embroidered quilts, etc. Bring your holiday shopping list, there's something for everyone! You may even be able to press the flesh with a local politician seeking voter support. Families, neighbors and visitors gather near the Town Stage for the outdoor Bluemont concerts. Audiences enjoy world-class jazz, bluegrass, Celtic music, rock, rhythm and blues, zydeco, African dance, folk music and more. 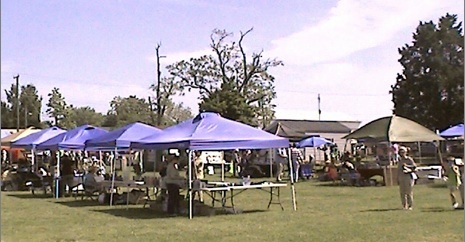 Many people bring picnics to enjoy during the show. People of all ages are welcome. Bluemont concerts begin at 11am rain or shine, are smoke-free and alcohol is prohibited.